From Uyuni we were finally heading into Chile. Somehow we had ended up with a private transfer, so off we headed to spend a night near the border before crossing first thing in the morning. We even had breakfast at the hot springs, passing Illario’s car, still stationary in the corner. 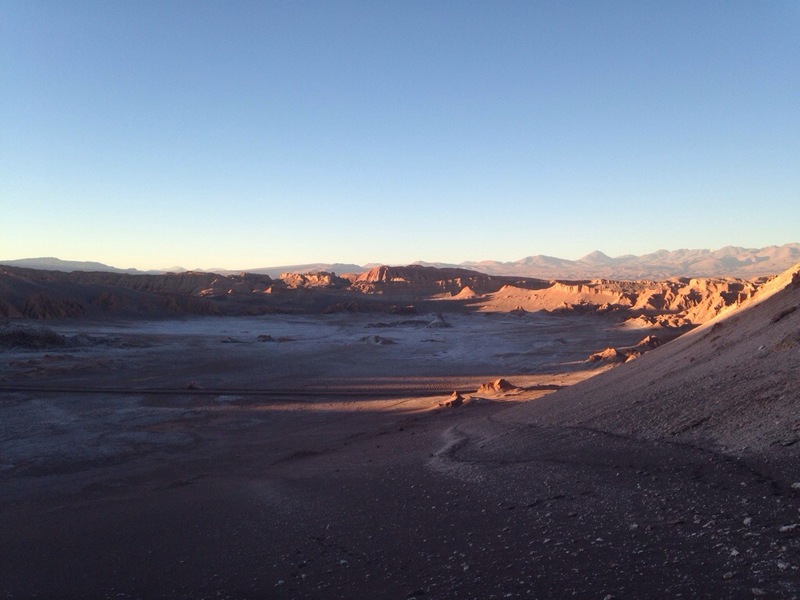 We arrived in San Pedro de Atacama late morning, a small oasis in the middle of the driest place on earth. We are starting to run out of time now, and have a lot of ground still to cover, so we could only stay one night. This meant we had to choose our activities carefully. Stargazing was the main reason I wanted to go to San Pedro, but there are lots of different sights and activities touted on every corner. 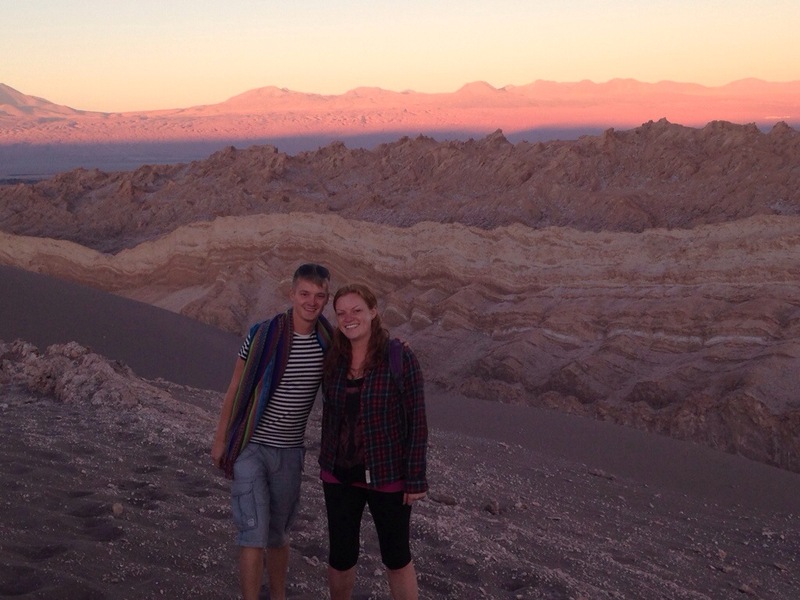 A lot of the excursions were similar to things we had done in Bolivia, at a higher price, so we chose to go to Valle de la Luna, moon valley. You can hire bikes and cycle there, which we considered, but for marginally more we had a guide who explained the geological theory behind the formations we saw. Luckily for us it was also low season so the tour was cheaper. 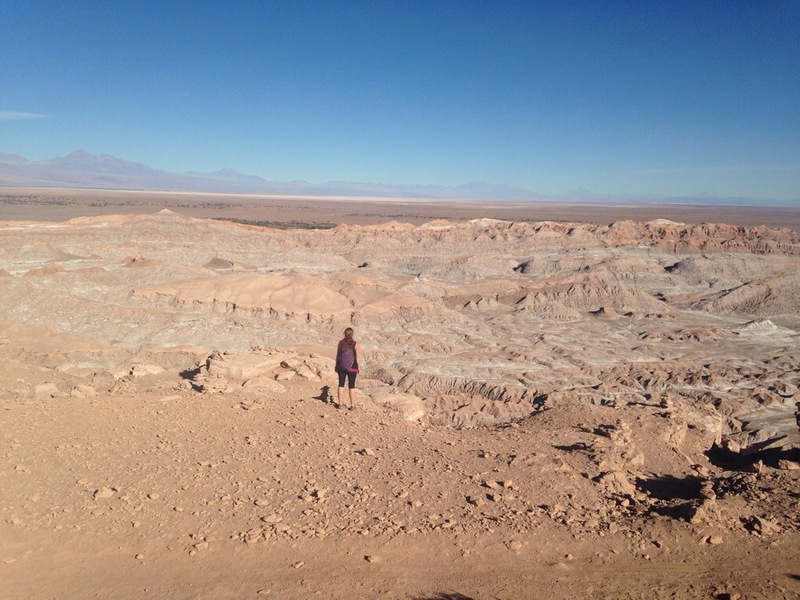 Valle de la Luna sits between the Andes and Cordillera de Domeyko ranges. The landscape is supposed to be the closest thing to the surface of the moon on earth, a landscape created 23 million years ago. It was definitely surreal scrambling around the dry rocks, and the sunset across the Andes range was beautiful, though I’m still not entirely sure what the colour change we were looking out for was! That night we went stargazing. 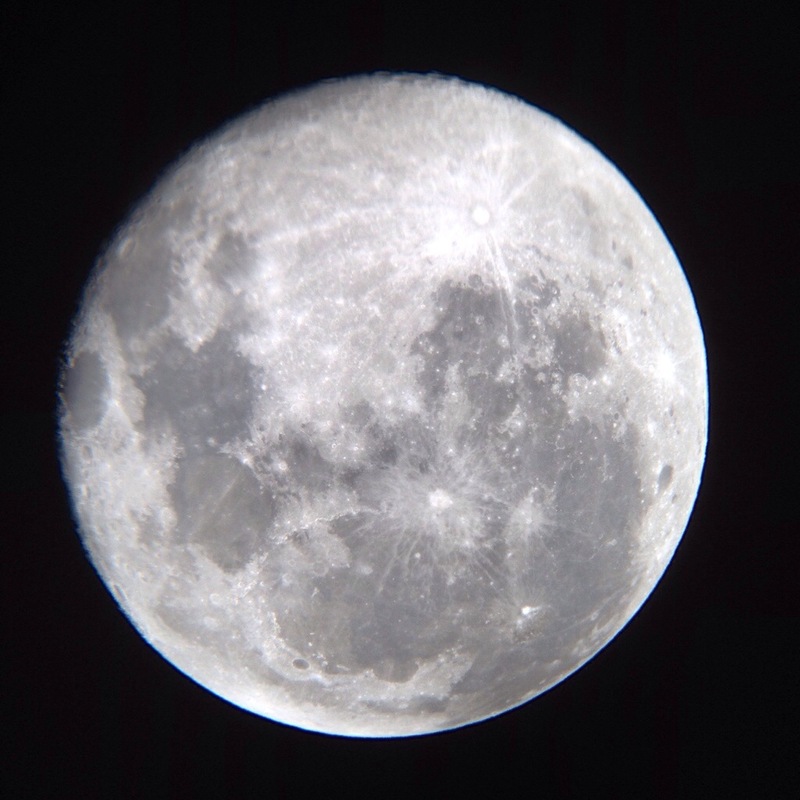 A lot of tours weren’t running because it was full moon, but luckily we found one that was. It was out on some decking in the middle of a field with a large telescope. There was quite a large group of people, but Liam and I managed to entertain ourselves between turns by eavesdropping on some of the incredible conversations going on around us. A firm favourite was a long monologue by a girl comparing her hands to her sister’s, who wasn’t even there. We saw Jupiter and it’s four moons. Two of which are covered in ice and would be suitable for humans to live on, if it came to it. Then we looked at Sirius, the sixth closest star to earth, a white baby star, and Cernobus the fourth closest, slightly older, a blue star. My favourite was looking at Saturn as you could see it’s rings, but you could also tell that Mars was reddish. We finished with coffee, cake and a view of the moon. Neither of us had ever done anything like that before, so it was fun and definitely worth the money. It was a shame we only had one day in San Pedro, our hostel was great, with lots of friendly and helpful staff (even when I destroyed a some kitchen property by accident) hot water and good wifi. We were finally able to feel our toes as it was very hot during the day, had awesome empanadas, and met lots of other travellers. But we had to finally get ourselves to Santiago, so it was time for a 23 hour bus. Fun times.